Art world in Indonesia is highly appreciated. No wonder, if there is many local paintings that are very famous in all over the world. Famous paintings from Indonesia are not only famous in the country, but also known abroad. Indonesia has cultural diversity and has a high cultural value. In addition, painters from Indonesia have also been known in the eyes of the world, just like Abdulah, S.Mamala, and Effendy. Here are famous paintings in Indonesia, which are not only known in Indonesia but also abroad. This painting depicts human desire to wade through life. In the painting there are pictures of boats and sun. 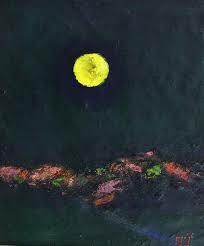 Affandi, this painting painter is indeed famous for his abstract style of painting. 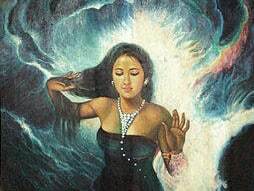 Even this painting is included in 10 famous paintings from Indonesia, which are very popular in Indonesia. This painting even sold in a really high price. The duplication of painting is saved in Indonesia National Art Gallery. Are interested to add this painting into one of your collections? 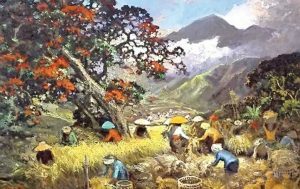 This Indonesian painter has been known in the international world. Many paintings produced by painter Basuki Abdullah. The type of painting produced is portrait and has been known to more than 22 countries. 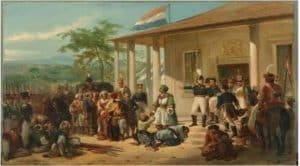 Many paintings of his works are known both in Indonesia and abroad such as paintings in the moonlight, Diponegoro led the battle, Ir. Soekarno, Fajar, Nyai Loro Kidul, and other famous portrait paintings. Among these paintings you may be familiar with the paintings of Nyai Loro Kidul. 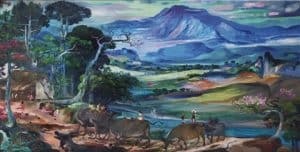 This painting includes 10 famous Indonesian paintings by Rustamadji. He is a maestro painter from Central Java. Besides painting, Rustamadji also helped in the construction of a young monument in Semarang. The paintings produced include: grandfathers and grandchildren, grandmothers and grandchildren, remo dancers and the most famous are Dancers in Bali. This painting is the work of the painter Raden Saleh. Raden Saleh is an Indonesian painter who has penetrated the European market and his works have been displayed in museums in France. We should be proud of this Indonesian painter. This painting sold for 5.5 billion at an auction in Singapore. It is really big appreciation for local paintings. If you are given a chance to collect this art work, are you interested to bring it home? 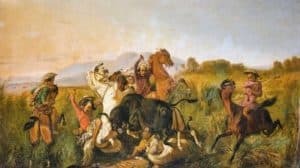 Another painting by Raden Saleh that is famous not only in Indonesia but also abroad is Burned Forest, Hunting of Buffalo in Java, and Arrest of Prince Diponegoro. The painting was displayed at an exhibition in the Netherlands. The painting managed to penetrate the grand museums such as the Rijk museum (Netherlands) and the Louvre museum (France). No wonder if this painting is included in 10 famous paintings from Indonesia. This painting by Raden Saleh depicts a disaster that hit the island of Java, this painting shows the area ravaged by water, there is only one roof floating on which humans use to save themselves, fight each other to save themselves. The remaining areas of water with the debris of houses and human corpses scattered. 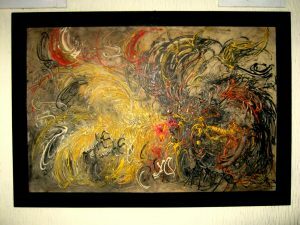 Painting by a painter named Sudjojono known for his heroic themes such as Seko, Ngaso, Battle in Tjikampek, Djakarta. He is also known as the pioneer of the first modern-day painters in Indonesia. Sudjojono also collaborated with European painters in displaying his work. Of course, his painting awarded much appreciation from art collector from all over the world. His painting is typically epic and interesting. It is an amazing artwork ever. This painting by Le Man Foong was recognized by Ir. Soekarno. The painter is also known throughout Southeast Asia and was also asked as a Singaporean painter. Mr soekarno fet in love to this painting due to its uniqueness and colour. If you are an art collector, you might be interested in this painting too. Having two goldfish at once in a picture with a combination on your wall, who will not be interested to grab it? This painting by Popo Iskandar has also been recognized internationally. This painting made in 1996 is widely used as an ornament for home design. Having this unique painting at your home, who will not be happy? This epic painting is already copied many times (not icluded by its original version). This type of painting is already sold in a high price by the governor from abroad. Is it good enough for the excelent price? This painting is actually simple, however, many people started to like this painting through its mystery meaning of Popo itself. He is truly an amtious painter, his popular painting is not only one, even two, five or more. Moreover, his paintings is always high priced. Cat-themed paintings always characterize painter Popo Iskandar. This painting has also been known to foreign countries with a thick and textured style of painting. This cat painting reveals one of the characters ever made with animal objects. Deformation from oil paint scratches on the canvas relied on spontaneous and transparent scratching effects, the animal seemed to have just risen from sleep and waved its body together. With black color, and the eyes that emit this cat’s light appear as mysterious animal figures. Last but not least, the next popular paintings comes from a young painter named Hendra Gunawan. He was already becomes a painter in 15 year old. 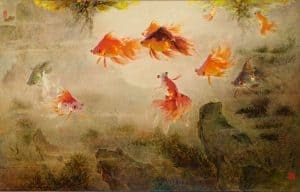 In addition to landscape, another painting by Hendra Gunawan that has many natural themes is appreciated by many artists. Hendra Gunawan is included in the Indonesian painter maestro with paintings that have distinctive characters and are included in 10 famous paintings from Indonesia. Those are the paintings that are known in Indonesia. Some of the paintings above are even sold in a fantastic amount price. Wanna try to buy some of them? Then you should contact the painter soon!